Why the "Rock Star" Moniker? 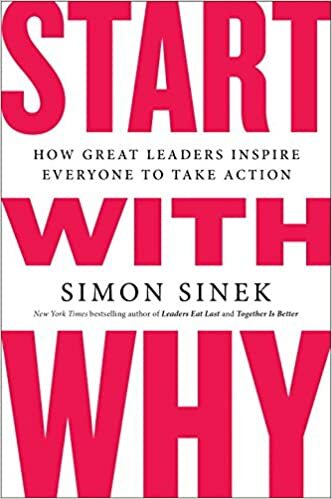 Simon Sinek, Another Viewpoint: "Start With Why"
Serve Your Customers, but Who are They? Why Would Anyone Care or Listen to Me? If you are looking for a step-for-step guide on how to become a Rock Star this is not the book for you. 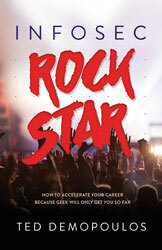 If you want a book that sets you down a path to become a Rock Star you will enjoy Infosec Rock Star. In my opinion taking action is at the core of what the author is trying to teach the reader. The only way that you can change how you and others view you and your abilities is to take action. And one of the key takeaways for me and one that the author highlights regularly is it’s not always about the "geek" stuff. Technical skills are very important but all too often we overlook many other personal development skills that can and will help us in our careers. 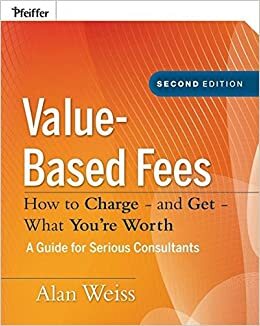 The author suggests several other books that go deeper into topics he feels are important in helping an individual become more proficient in areas that will help them become Rock Stars. One of the things I found extremely valuable were the "Action Step" sections found throughout the book. 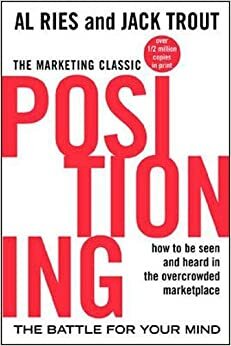 Each of these sections the author again focuses on the reader taking action, helping them to think and plan more which in turn will assist them in starting down the path where they are better able to take control for their careers, and thus become a self-made Infosec Rock Star. If you don't build your dream, someone will hire you to help build theirs. What I've learned along the way is that we make our own luck. Networking, speaking at conferences, and continually developing your skills betters your chance of greater success coming your way. "Geek will only get you so far" is going to be an understatement soon. We are not off in a silo alone anymore; we are a core part of the enterprise. Basic business (and social) skills expected of others are expected of us more and more. These include communication, leadership, influence, teamwork, creativity, project management (finishing things we start) and much more. I agree 100% and if you look and listen closely to many of the current Infosec Rock Stars they are saying the exact same thing. Specifically Paul Asadoorian and Michael Santarcangelo as well as the entire Security Weekly team continue to discuss the need to adopt and learn the none technical skills that are needed to better interact within an organization. If you are confident, you are more likely to succeed at what you attempt to do. Rock Star Specialist: In addition to being an authority, you have more visibility/celebrity, and professional non-geek skills: self-direction, communication, business understanding, leadership, time management, project management, negotiation, results orientation, and lots more. Authority you are a widely regarded and respected expert, distinguished by some combination of innovative ideas, opinions, and intellectual property. Expert You have developed expertise and Expert status, and have more work choices and flexibility. Stable You've got a good job. If you lose it, there may be a lot of effort to find another good one. Survive Generalist You need a job! If you have a job, it doesn't rock. A Rock Star understands his or her organization. Every organization exists for a reason. Why does yours? What does it do? What are its products or services? Every organization has customers. Who are they? What are their concerns? What else do you know or can you find out about them? "Corporate Culture" is the set of written and unwritten rules on how things are done. If you want to be effective, you need to understand the corporate culture at your place of employment. Ted Demopoulos recommends watching Simon Sinek's TED Talk as well as reading his book. If we get a reputation of being difficult or unpleasant to deal with, our customers will do their best to avoid us as much as possible, and that is clearly not good. The most successful and most influential people have passion. Passion will give you energy and a sense of purpose. Security at its most basic level is risk management. We reduce risk to an acceptable level by implementing controls, which can be physical, administrative, or technical. Geek will only get you so far, but Geek is required. For math and logic nerds, Geek is necessary but not sufficient for Rock Star status. If you are not damn good and getting better, concentrate on building your core Geek skills. Communicating with people similar to us is relatively easy. Communicating with people unlike us is more difficult. Success is not final; failure is not fatal; it is the courage to continue that counts. Hopefully it is obvious that Rock Star is not nine to five. Life is not nine to five. As you move toward Rock Star status there will be more demands on your time, yet you still will have exactly twenty-four hours per day. Given the limited amount of time you need to efficiently use it. This includes doing the right things, not doing some things which perhaps you used to do, and doing what you do efficiently. This long-term thinking or Future Orientation can determine, or at least greatly influence, current action. It helps you know what to say yes to, the order you do your yeses in, and what to day no to as well. * How good are you at future thinking? * How good are you at finishing what you start? * How are your time management skills? * Have you improved over the past few years? 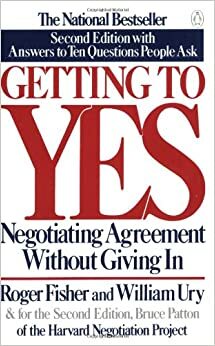 Every time you say yes to something you implicitly say no to something else. Since you can't do everything, it is important you do not try. What you don't do is as important as what you try to do. Is it strategic? If it is not on the path to your goals, your success, in tune with your Future Orientation, maybe you shouldn't be doing it. Are you the right person to do it? Is it something you can do a great job at? Do you have the time to do it? Initiation Determining the nature and scope of the projects and whether to go forward. Planning Planning time, cost and resources adequately to estimate resources required and manage risks during execution. Monitoring & Controlling Keeping the plan on track as "no plan survives contact with reality"
Closing Formal acceptance, administrative activities, and ending the project. What people think about you matters. It's good for people to like you, and its far more important that people respect you. We absolutely have some control of our brand, but it has to be true to who we are. It needs to be authentic. Note that it doesn't matter what you think about various certifications. It matters what others think! Cogs are invisible. Rock Stars are not. Cogs provide minimal value. Rock Stars provide a lot more! Monthly Assessment We all have self-doubts at times, and the "Why would anyone listen to me?" syndrome is rampant, but dead wrong. If your ideas are coherent and reasonably well articulated, people will listen. Some will definitely care. Your ideas do not need to be brilliant. Some may find them brilliant, but that doesn't matter. If you are no a fan of yourself, why should anyone else be? If you don't follow yourself, why should anyone else? Self-confidence is essential. It is normal for humans to have self-doubts; we all do. However, confidence is essential to being a Rock Star. You certainly do not want to have an inflated ego, an excessive sense of self-importance, or any similar attitude. Great ideas tend to be disruptive. You need self-confidence to go forward with your ideas. There are always reasons not to do something. That doesn't mean you shouldn't do that something. Your emotions are not your friend in negotiating, although some negotiators feign emotion or may attempt to arouse emotion in you to their advantage. Acknowledge your emotions and try to identify the trigger. What are your emotions and why are they there? Emotions exist for a reason, and they can at times absolutely be helpful in negotiations if you acknowledge and understand them. The party who states the first price has the advantage because that prices acts as an anchor for decision making. It is especially important if you have no idea what something is worth or what the other person is thinking. Do not let anyone rush you! Haste or over-eagerness to reach a deal results in mistakes. People often negotiate against themselves. This is a common problem. State your position and then shut up. It is the next person's turn to talk. Whether they speak in five seconds or five minutes, it is their turn. Silence can be wonderful. If people like you, they are more likely to do what you want them to. We prefer to say yes to people we like. Research shows we tend to like people like us. Any similarity will do. It could be a common background, sport, hobby, favorite food, or where we originally came from. The fear of loss, of missing out, is a powerful motivator. If something is scarce, it is perceived by the human mind as more valuable. Rock Stars are leaders. That doesn't mean you are a manager or want to be. Positional authority is most effective when combined with personal authority. Personal authority is earned. It is based on your standing with others. It is based on trust and respect. Leadership is a mindset, not a position. Rock Stars have a leadership mindset. A leadership vacuum is an indication that you need to step up and lead. Don't wait for permission! Being generic is a choice. If you are generic, a cog in the machine, you will always be struggling. The entire point of this book is positive evolution and transformation Moving toward Rock Star! Becoming a better Rock Star! One enormous factor here is whether you are proactive or not; proactivity lends itself towards positive change. I'm not the person I was six months or two years ago, and neither should you be. Change is inevitable, so embrace it, direct it, channel it. One of the reasons for Future Orientation is to try, to some extent, to channel change in positive directions you choose. 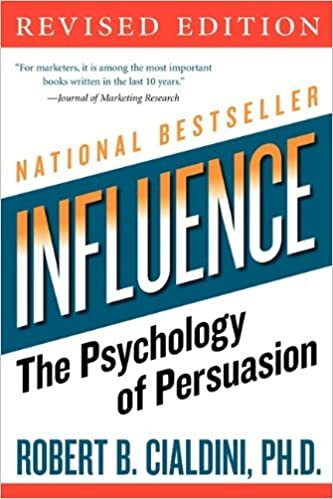 Of course you do not have total control, but you do have significant influence. Lifelong learning is important. No, that's not quite right. In our field, lifelong learning is essential. SANS NewsBites - High-level executive summary of the most important news articles that have been published on computer security during the last week. Security Weekly - Podcast of top stories of the week as well as discussion about security and typically a technical segment. Risky Business - Lighthearted look at information security news and features. Coursera - Provides universal access ot the world's best education, partnering with top universities and organizations to offer courses for anyone to take. Cybrary - Provide the opportunity to learn Cyber Security, to anyone, anywhere, who wants the opportunity. Take the occasional Friday afternoon (when often not much happens), and dig into something technical you either haven't done before or haven't in a while. Get your hands dirty again. The fastest way to become a Rock Star is to hang out with them. Spend time with impressive people. Remember, it's just a job. Write a preliminary Why or personal mission statement. Either is fine. Write down a quick definition of success. What are your Three Highest Value Activities? Consider your personal "Future Orientation" what do you currently do that you should no do? Why? So what do people think of you? Let's find out! Look yourself up online using at least two search engines. List a few ideas you are going to purse to let the world know you rock. Review your Personal Mission Statement or Why. Review the Previous Action Steps from this Book.